Here are the first spy images of Mahindra's first Intercity bus manufactured at Mahindra Trucks and Buses Limited (MTBL) having a manufacturing facility at Chakan, Pune. The image shot is also on the highway near the manufacturing plant. 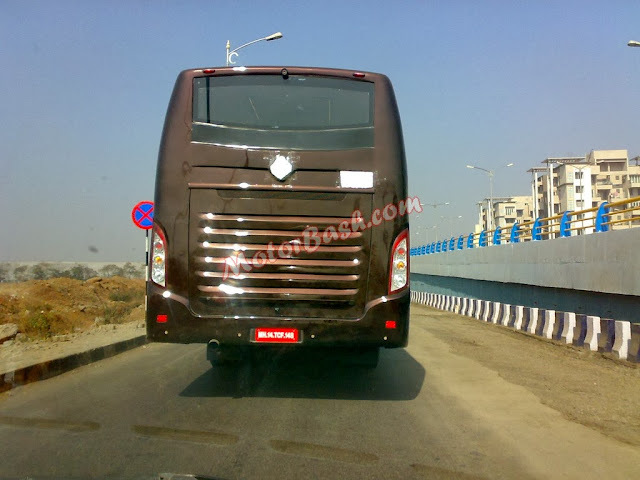 Mahindra's current bus line up "Tourister" comprises of 4 buses powered by 2.5L , 2.6L and 3.3L diesel engines. 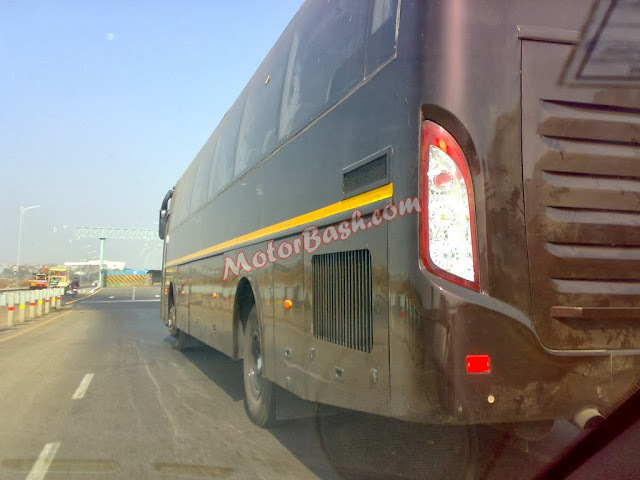 The bus range comprises of 16,25, 32 and 40 seater. The 25 seater version is also available in BS4 CNG variant. 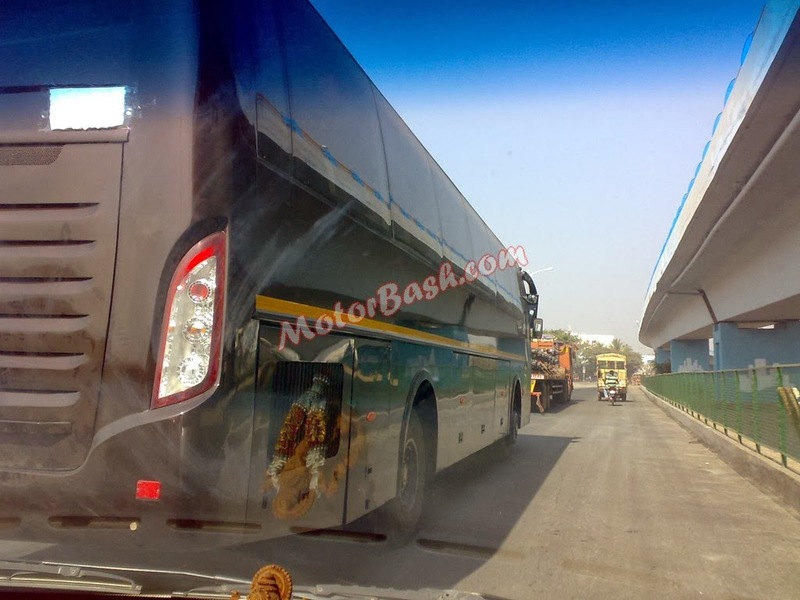 The large bus would compete with offerings from Ashok Leyland, Volvo, Scania, Mercedes Benz and Tata Motors, though understandably priced lower relative to foreign competitors. The new 40 seater bus could be powered by a 7.2L Navistar engine that can produce 202hp and offer a peak torque of 880Nm.